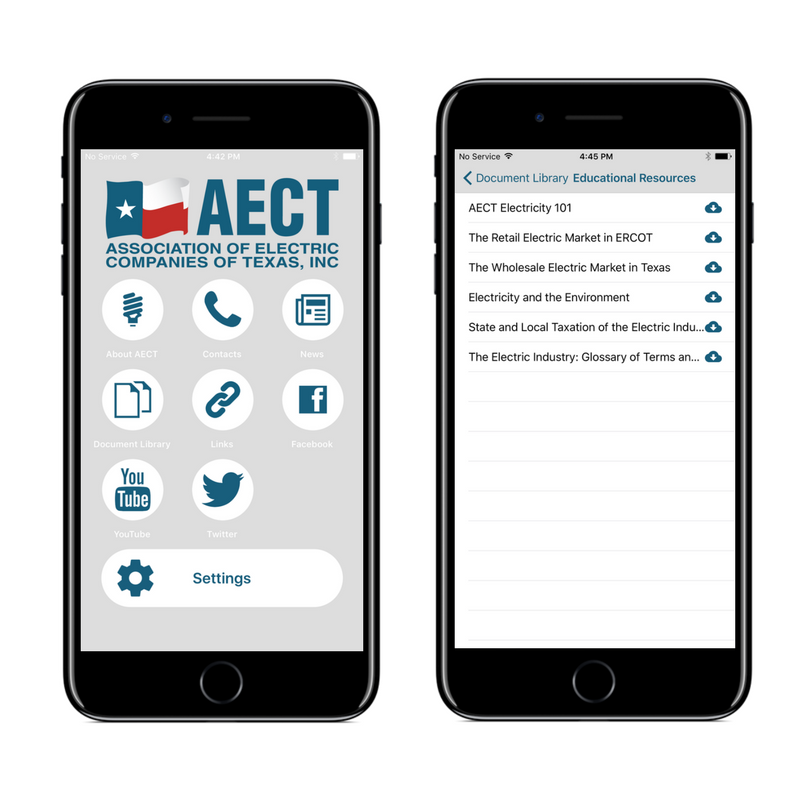 The Association of Electric Companies of Texas (AECT) mobile app is a resource for those in the Texas Capitol, employees and contractors for AECT, and anyone else interested in the electric industry in Texas. This app will provide immediate, convenient access to educational resources and issue papers during the Texas legislative session. It will also provide occasional notifications to alert you when an important electric issue arises. Users can also easily contact AECT and view the Association’s social media channels.